You must know this marvelous cat’s name which “Mac OS X” also carries. 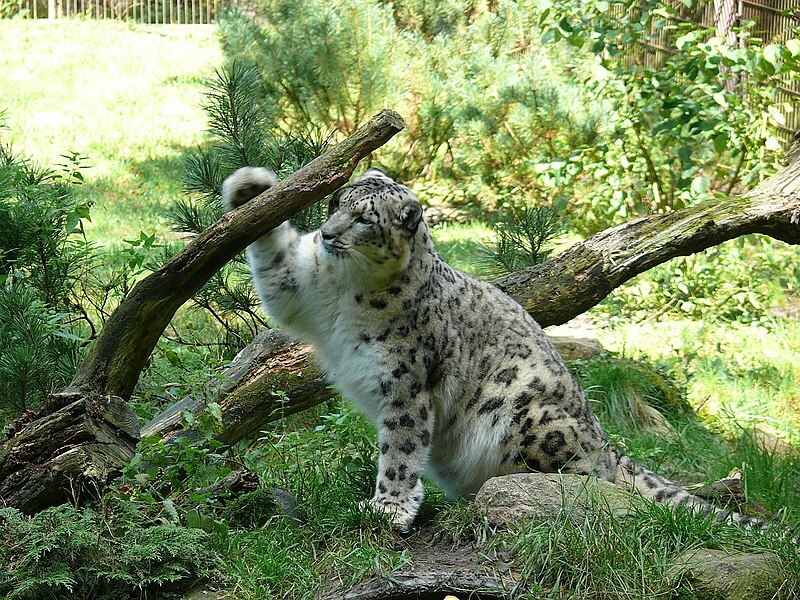 The Snow Leopard (Panthera uncia) is a large cat native to the mountain ranges of Central and South Asia. It is listed as endangered on the IUCN Red List of Threatened Species because as of 2003, the size of the global population was estimated at 4,080-6,590 adults, of which fewer than 2,500 individuals may reproduce in the wild. Unusually among cats, snow leopards also eat a significant amount of vegetation, including grass and twigs. 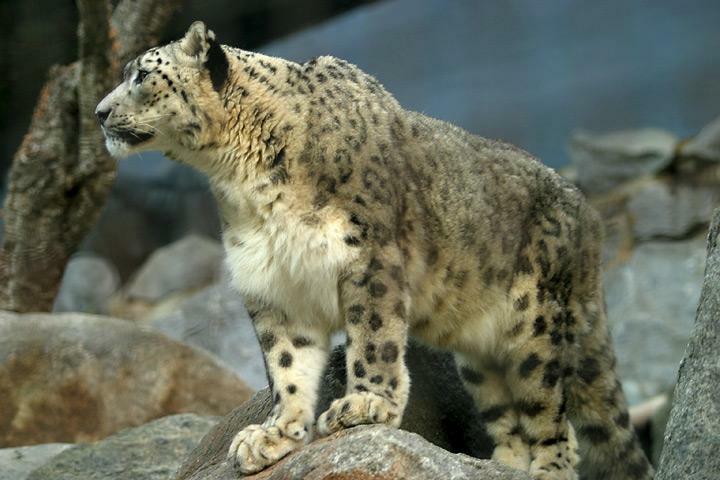 The snow leopard is the National Heritage Animal of Pakistan. 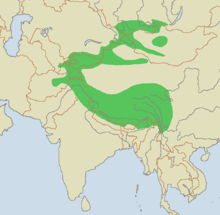 The snow leopard is distributed from the west of Lake Baikal through southern Siberia, in the Kunlun Mountains, in the Russian Altai mountains, Sayan and Tannu-Ola Mountains, in the Tian Shan, across Kazakhstan, Kyrgyzstan, Tajikistan, and Uzbekistan to the Hindu Kush in eastern Afghanistan, Karakoram in northern Pakistan, in the Pamir Mountains, and in the high altitudes of the Himalayas in India, Nepal, and Bhutan, and the Tibetan Plateau. In Mongolia, it is found in the Mongolian and Gobi Altai and the Khangai Mountains. In Tibet, it is found up to the Altyn-Tagh in the north. The snow leopard cannot roar, despite possessing partial ossification of the hyoid bone. 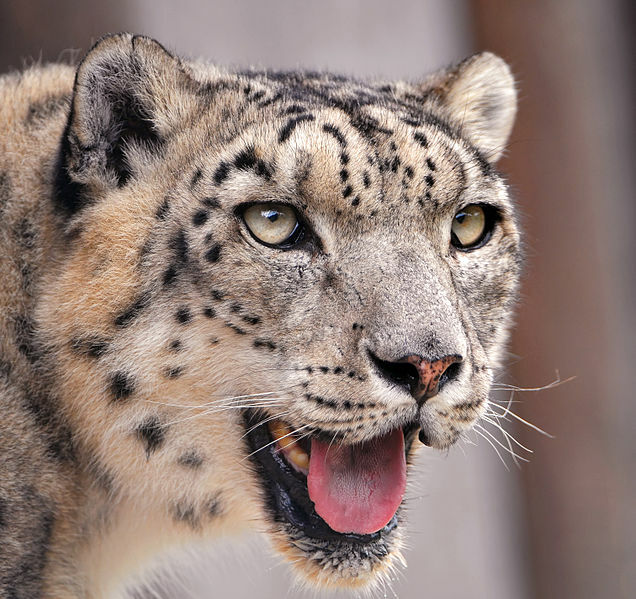 This partial ossification was previously thought to be essential for allowing the big cats to roar, but new studies show the ability to roar is due to other morphological features, especially of the larynx, which are absent in the snow leopard. Snow leopard vocalizations include hisses,chuffing, mews, growls, and wailing. Snow leopards are slightly smaller than the other big cats but, like them, exhibit a range of sizes, generally weighing between 27 and 55 kg (60 and 121 lb), with an occasional large male reaching 75 kg (165 lb) and small female of under 25 kg (55 lb).They have a relatively short body, measuring in length from the head to the base of the tail 75 to 130 cm (30 to 50 in). However, the tail is quite long, at 80 to 100 cm (31 to 39 in), with only the domestic-cat-sized marbled cat being relatively longer-tailed. They are stocky and short-legged big cats, standing about 60 cm (24 in) at the shoulder. Snow leopards show several adaptations for living in a cold, mountainous environment. Their bodies are stocky, their fur is thick, and their ears are small and rounded, all of which help to minimize heat loss. Their paws are wide, which distributes their weight better for walking on snow, and have fur on their undersides to increase their grip on steep and unstable surfaces; it also helps to minimize heat loss. Snow leopards’ tails are long and flexible, helping them to maintain their balance, which is very important in the rocky terrain they inhabit. Their tails are also very thick due to storage of fat and are very thickly covered with fur which allows them to be used like a blanket to protect their faces when asleep. 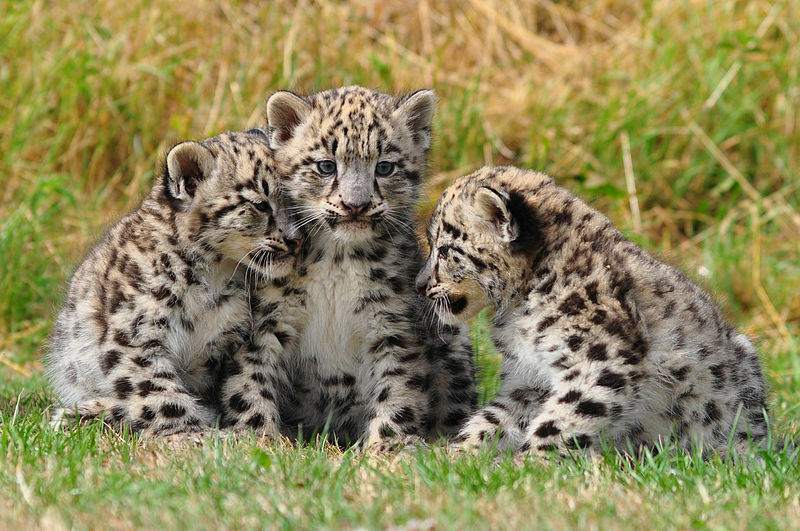 The snow leopard is solitary, except for females with cubs. They rear them in dens in the mountains for extended periods. Snow leopards are carnivores and actively hunt their prey. Like many cats, they are also opportunistic feeders, eating whatever meat they can find, including carrion and domestic livestock. They can kill animals more than three to four times their own weight, such as the bharal, Himalayan tahr, markhor and argali, but will readily take much smaller prey, such as hares and birds. They are capable of killing most animals in their range with the probable exception of the adult male yak. Litter sizes vary from one to five cubs, but the average is 2.2. The cubs are blind and helpless at birth, although already with a thick coat of fur, and weigh from 320 to 567 g (11.3 to 20.0 oz). Their eyes open at around seven days, and the cubs can walk at five weeks and are fully weaned by 10 weeks. The cubs leave the den when they are around two to four months of age, but remain with their mother until they become independent after around 18–22 months. There are also approximately 600 snow leopards in zoos around the world.